What can a daughter do when her mother's reality – a nursing home with no person-centered care in sight – presents a stark contrast to her own work devoted to making person-centered services available to all? This service model means asking what is important to people and honoring their preferences. It would be hard for any daughter to see her strong mom lose her independence and be in a setting that doesn't ask about her preferences or honor them. It is especially difficult for me. Early in my career, I aimed to infuse person-centeredness in care for my parents' generation. It soon became clear that my colleagues and I need to help our fellow baby boomers and the generations that follow. My mother’s physical limitations and severe pain led to her needing 24/7 care. Despite our shared desire to avoid the move to a nursing home, my mom and I (a long-distance caregiver) were out of alternatives. Once she was in a facility, it was easy for me to view her care limitations and the need for change through a policy lens. A worker shortage, low wages, limited worker training and inadequate staffing requirements were intertwined with care limitations and the absence of person-centered services. I've never before written about nursing homes nor my personal experiences as a caregiver. I'm doing so now to highlight the need for person-centered services in this setting. I hope that shining a bright light on nursing homes, for an audience dedicated to enhancing the consumer's voice, will spur a much-needed culture change. 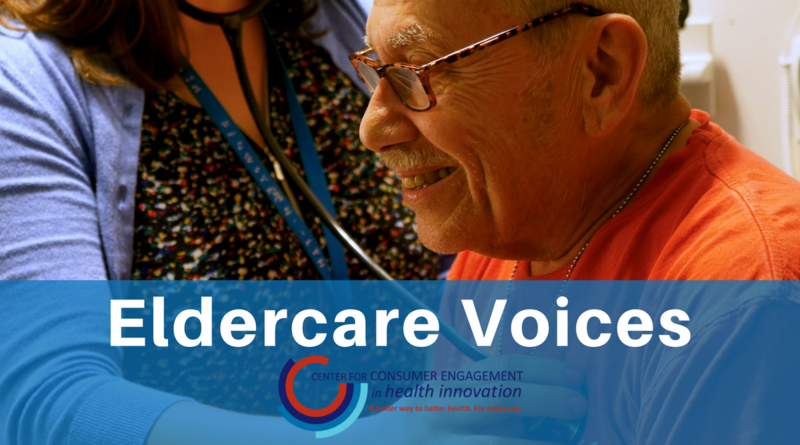 A culture change movement, including consumer advocacy, legal, legislative and policy efforts, has sought to establish person-centered services in nursing homes for over 30 years. This change would include resident-directed care, close relationships between residents, family and staff, and staff empowerment to meet residents’ needs. What would this look like? Residents would decide when they get up and when they go to bed, what they wear and what they eat, in contrast to a “one size fits all” routine. The Green House model, with home-like open kitchens, private bedrooms and staff who are engaged with residents, exemplifies these principles. Yet traditional nursing homes still dominate. A 2013 survey found that only 13 percent of 2,164 directors of nursing said they had “completely changed the way the (nursing home) cared for residents,” although many others had begun making changes in this direction. However, in a significant step toward person-centered services in nursing homes, the Centers for Medicare and Medicaid Services (CMS) enacted a 2016 regulation (483.21) requiring comprehensive person-centered care planning. My mom’s situation illustrates the impact of overwhelmed and under-trained workers. Person-centered care takes time, adequate staffing and training. It is unlikely to happen with understaffing, where even basic needs of residents may not be met. Getting to the bathroom and changing soiled diapers quickly are necessary to maintain a person’s dignity and health. Yet, I spend a lot of time calling from 500 miles away to ask that someone take my mother to the bathroom after she has been waiting too long. Busy staff couldn’t even take time to introduce my mom to her new roommate when she arrived. The two women, who would live a few feet from each other, deserved an introduction that affirmed each person’s dignity and worth. My mother has always dressed well, and still cares about her appearance. Rushed aides don't often find the clothes she wants to wear, instead choosing mismatched items and leaving clothes on the floor. These actions do not honor her preferences or convey respect. How Can We Expand Person-Centeredness for Nursing Home Residents? While nursing home experts know more about these problems than I do, I humbly offer some suggestions to help advance nursing home culture change. Remember the posters that said “If You’re Not Outraged, You’re Not Paying Attention?” We need to convey outrage so that the right people pay attention. Without change now, generations of older adults will face the same unacceptable conditions. Let’s we adult children of aging parents take advantage of our numbers, participate in consumer advocacy, and insist that nursing homes do better. Get Curious – Why So Little Emphasis on Consumer and Family Satisfaction in Nursing Homes? Families and residents have been unhappy with nursing homes for many years. Other businesses know consumer satisfaction is essential for success, yet nursing home owners undervalue this principle. The authors of a 2014 study about the CMS five-star nursing home rating system recommended that CMS add consumer information for a complete picture. A person-centered culture must solicit and act upon consumer perspectives and feedback. The CMS regulation requiring person-centered care planning in nursing homes (Reg.483.21) is a critical step toward achieving culture change. A 2018 article reported that the power of partnerships between aging service advocates and geriatric clinicians may be instructive about achieving this requirement’s potential. In partnering to expand person-centered care, they could improve resident satisfaction and quality of life (according to a 2017 study of 11,752 residents in 320 Kansas nursing homes) and also help facilities’ bottom lines. More satisfied residents could lower resident turnover and address quality challenges due to high staff turnover. While I would love culture change to happen quickly enough to come through my mother’s nursing home door, this is highly unlikely. However, she and I would both be thrilled if this discussion sparks fresh ideas, new partnerships and action that opens the door a bit wider to welcome person-centered care into more nursing homes. Lori Simon-Rusinowitz, MPH, PhD, is a faculty member at the University of Maryland, School of Public Health in the Department of Health Services Administration and Center on Aging. She was the research director for a national demonstration and evaluation that compared consumer-directed and traditional approaches to providing personal care services for elderly and younger people with disabilities. She continued this role for a national replication project and resource center addressing consumer-directed care. She has been a long-distance caregiver for eight years.